In my reference to the President’s new men in the last edition of Puawui, I stated that among the new substitutes I knew only Maya Kaikai. That was not altogether correct. There is the new number two man at the ministry of energy – Major Retired Shengu Koroma, who as deputy minister will be responsible for harnessing and distributing electricity. I have to confess that it was not so much a case of forgetfulness, which in truth it was, but perhaps nature’s way of saying that from his record since coming back and aspiring to political leadership, in the eyes of this old man – the man is a non-person. In reality, he is no different from others who have preceded him in the unholy exercise of suddenly seeing virtue and righteousness in the APC government of President Ernest Bai Koroma. This young man returned to Sierra Leone after he had retired from the United States Army. I am not sure now whether he was a Regular or a Reservist, with the rank of Major. 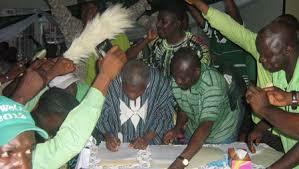 He boasted at the time, of having the answers to the problems of this country, compared to President Ernest Bai Koroma and his APC, as well as to the other twenty two contestants for the SLPP leadership. Shengu Koroma began his campaign here in Freetown, and when he asked for my endorsement, I advised him to begin at his base Pendembu, in the Upper Bambara chiefdom of Kailahun district, which was where his root lay even though he had grown up in Kenema because there his father had settled. He must have followed the advice, because there was a newspaper photograph of him among the women’s masked Bondo devils. To cut a long story short, our man from the States scored a dismal TWO votes – one of them probably being his, in the final contest for the leadership of the SLPP. Then he disappeared like a former distinguished son of the soil from Tonkolili. We next heard of him in the United States to where he had returned to recuperate from his enormous defeat. He was soon mesmerized by the charisma of President Ernest Bai Koroma and began to heap praises on the latter, as if he had never intended to oppose the President if he had won the SLPP flagship race. 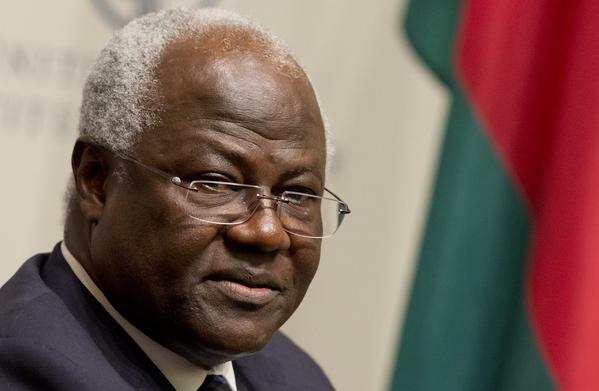 Major Retired Koroma could then not find words enough with which to describe his feeling of admiration, when he saw President Koroma in a tete-tete with American President Barrack Obama at the United Nations. The young man’s head was literally spinning. From then his every statement was on the leadership qualities of the head of state. And witnesses say he followed his Excellency wherever he went during the rest of the American visit. After that the rest is history. He then joined the APC like the other contestant Alhajie Usman Boie Kamara, currently the minister of Trade in the APC cabinet. Shengu was not so lucky to get a cabinet appointment. But he will be in position to demonstrate his mettle, and any leadership qualities he may possess. Who knows, if the system of musical chairs continues in that particular ministry, his opportunity may yet come. 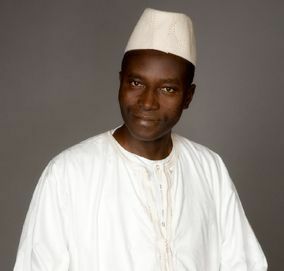 Alhajie Osman Yansaneh was a successful envoy in Accra, where he was his Excellency President Ernest Bai Koroma’s High Commissioner for just over five years. Yansaneh only gave up his appointment on being selected as the Secretary-General of the ruling APC, in succession to Victor Foh with whom he had originally vied for the position. Now my friend’s name is coming up frequently in the newspapers and for all the wrong reasons. He is being accused of heavy handedness in the affairs of the Susu Central Mosque at Edward Street. Whatever the version, Ambassador Yansaneh should not have allowed himself to be embroiled in a religious controversy, to the extent that he is being accused of flexing his political muscle to settle old scores, when he ought to be a Peacemaker. I hope it is not too late to make amends, rather than being directly involved in the controversy.